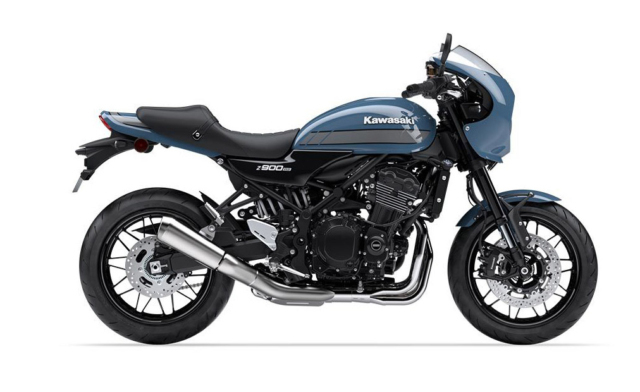 Since its debut at the Tokyo Motor Show last year, the retro-styled the Kawasaki Z900RS has been well-received in its home market. The bike we called “the Kenmeri Skyline of motorcycles” for its place in Japanese motoring history just went on sale July 1 and comes to market with healthy aftermarket support. As a follow-up, Kawasaki quickly turned the nostalgia dial up to eleven with the Z900RS Cafe., to be released later this summer. If that wasn’t enough, Kawasaki then announced it’s coming to America. Now, the slate of of colors and graphics packages have been announced. The Z900RS Cafe is mechanically identical to the Z900RS, which runs a detuned version of the 900cc inline-four making 110 horsepower and 73 lb-ft of torque. 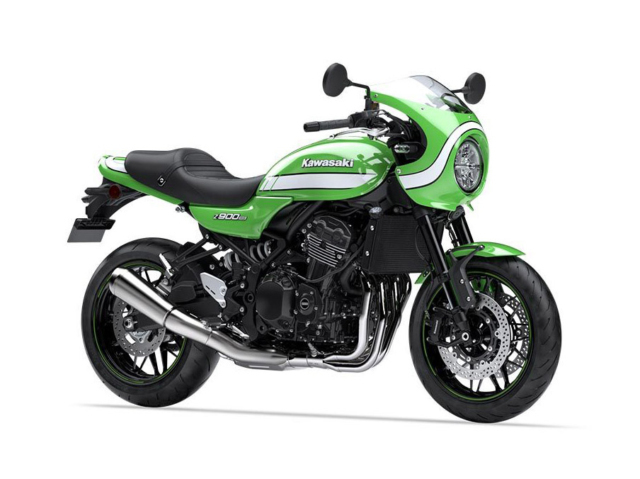 Kawasaki says this brings out an old school character, with peak power coming 1,000 rpm lower in the rev range and a rumbling exhaust note like that of the classic 1972 Z1 it was inspired by. 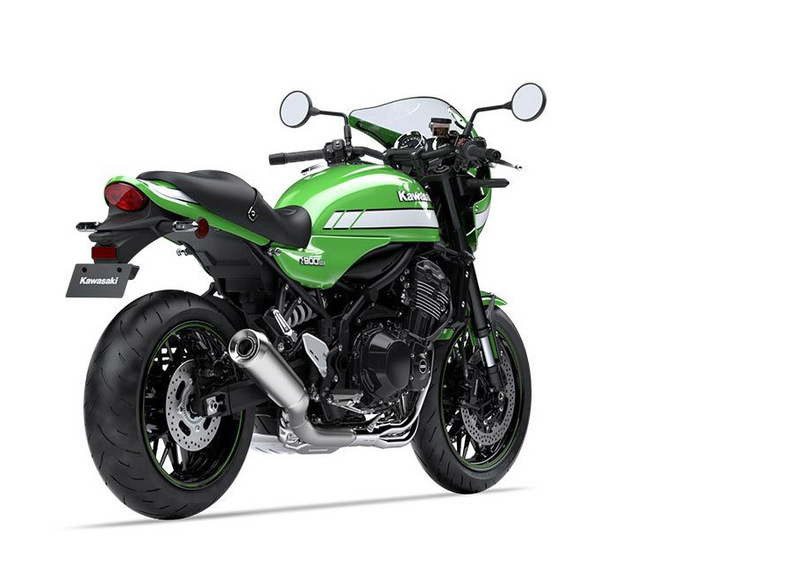 The Z900RS Cafe comes with a racing cowl and lower-position handlebars that are blacked out instead of chrome. It also has higher seat with a deeper dish and taller passenger seating area for that classic cafe racer look. 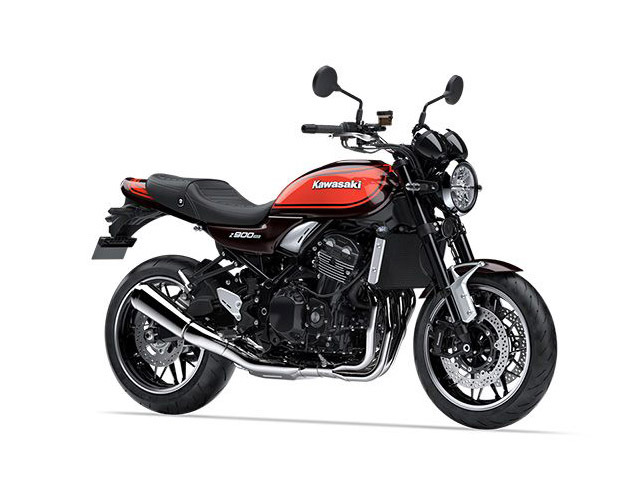 The standard Z900RS is available in two colors — a very retro brown with orange stripe and a timeless metallic black. The MSRP is ¥1,200,000, which translates to a USD starting price of $10,999. The Z900RS Cafe will be available in three colors. The first is a sinister-looking Stormcloud Blue with a gray horizontal stripe across the gas tank. 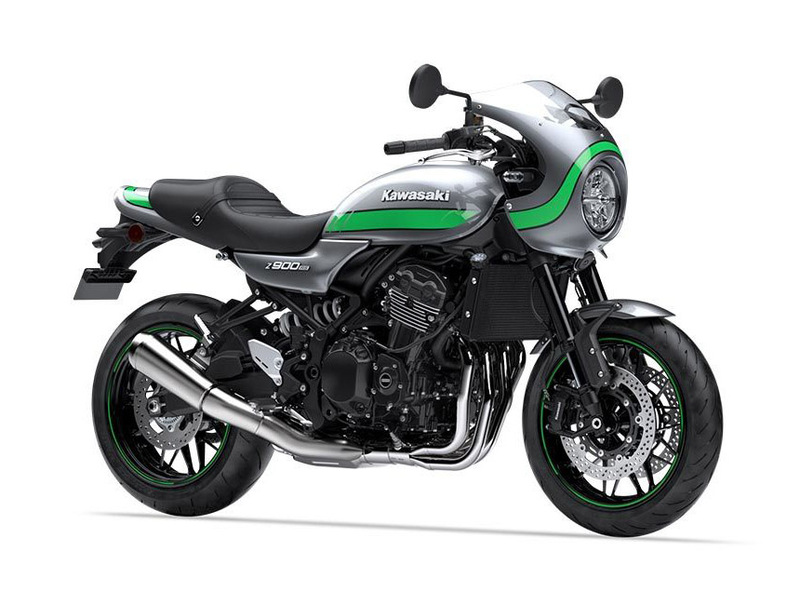 Metallic Graphite Gray offers a more modern look with a hint of retro style in a Kawasaki-green stripe that extends to the front fairing. These will launch in Japan August 1, 2018. The most nostalgic color of them all, however, is Vintage Lime Green with a white stripe, and that will launch a month later, on September 1, 2018. The Cafe starts at ¥1,250,000, or $11,499. tagged: kawasaki, motorcycles, Z1, Z900RS, Z900RS Cafe. Finally a retro bike that comes with a tach out of the box. I’m looking at you self-styled “premium” brands, BMW and Triumph. Now Suzuki should bring back the Katana.